Running water is a major agent in the shaping of continental landscapes, as it erodes, transports, and deposits boulders, gravel, sand, and mud. 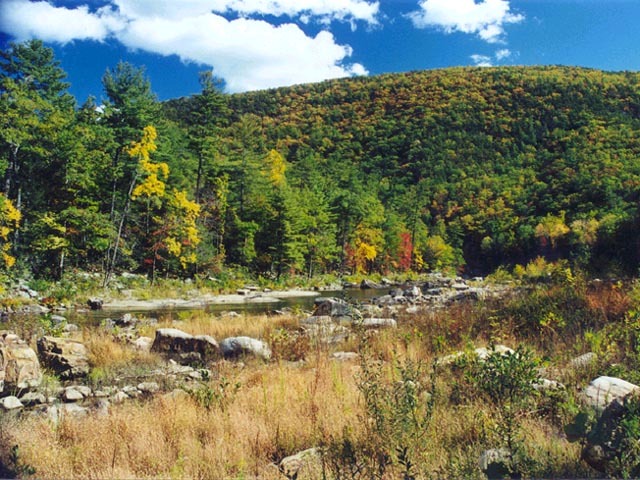 Stream and river systems erode the landscape as water moves downhill to their base levels. Geology and climate control the shape of drainage basins and drainage systems and to create features such as water gaps. Lakes and floods are also important in shaping landforms. 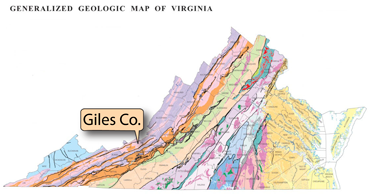 • Erosion occurs when streams lift fragments from the bottom and sides of the stream beds. Streams erode particles by lifting them into the current. 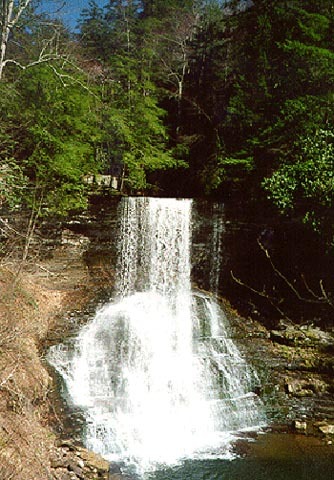 The Cascades, shown here, in Giles County is a waterfall that is eroding away the resistant sedimentary layers that create it. • Transportation occurs when streams move the dissolved minerals by solution and solid grains by suspension and traction. 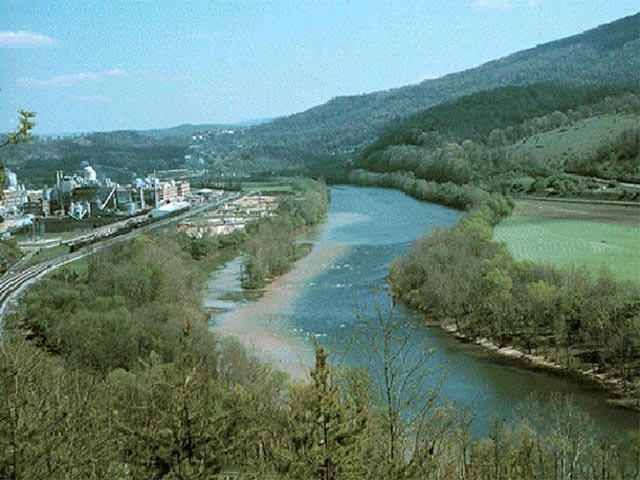 The above photograph shows the New River near Narrows, Giles County. The plume of brown, muddy water entering the river from the side has abundant suspended sediment, contrasting with the clearer water in the rest of the river. 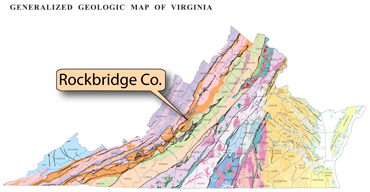 These boulders (above photo) in Rockbridge County are part of the Maury River’s traction load. These boulders typically move only during large storms.